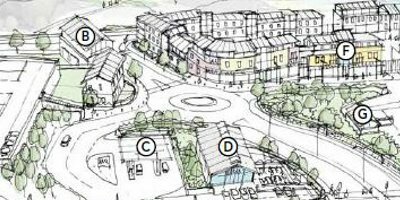 Here’s a blog below that I posted back in December 2014, three months before what was possibly the most shambolic planning meeting in the history of Cornwall Council. 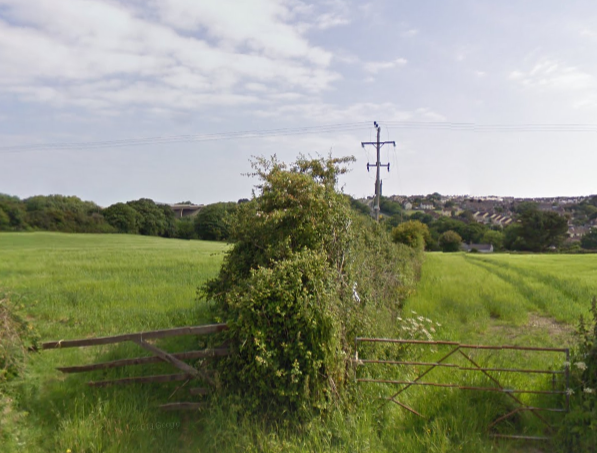 It brings shivers down the spine to recall it, but that was the one where councillors, in a fit of absent-mindedness, managed to approve not one, not two, but three massive private house-building projects along the A390 at Truro. Planners and councillors are now admitting that these permissions were disastrous, resulting in chaotic, unconnected and poor quality ribbon development. Not that they have yet, as no developer has yet managed to build a single house in four years. The only problem is that some on the Council are now using this as an excuse to dream up plans for a new town. 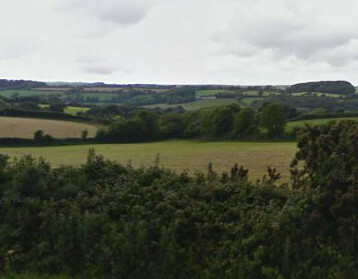 No doubt, in some back pocket somewhere, there are plans to expand this ‘new town’ over even more acres of the pleasant countryside to the west of Truro. In any sensible universe of course, the whole mad idea of plonking 2,700 houses along the most congested road in Cornwall would be abandoned in double-quick time. But we don’t live in a rational universe, especially not in Cornwall, where a hyper-growth fetish grips the ruling clique. Which all makes the blog below still seem relevant somehow. For a stroll down memory lane, re-read it. I hate to say it, but some of us would seem to have been predicting exactly what the planners are now belatedly concluding. When I was last in Truro in the late 1960s (or was it the 1860s?) it was not unlike other Cornish towns. Slightly more pretentious perhaps, with that great big church thing in the middle of town and a new brutalist County Hall rearing up in the fields to the south of the town. But it was basically a typical friendly small Cornish town. No more. Truro has become the Great Wen of Cornwall, sucking in commuters from far and wide and leaching the life blood out of anything within 25 miles or so (Falmouth excepted). It now sprawls for six miles along the A390 like an over-indulged beached whale. (The original blog discussed at length the various other proposals in Truro for housing surplus to requirements. You can read it here if you’re a serious masochist.) It’s on the north side of A390 that we find the real action. Five proposals threaten to take Truro down into the valley of the River Kenwyn, where small-scale fields, trees, and quiet, narrow lanes in an incised landscape eagerly await the joys of urbanisation. Two massive applications have been made at Maiden Green, next to Treliske, and further along on open countryside at Willow Green. At Maiden Green, Walker Developments of Plymouth are proposing 650 houses, a school, workshops, a district centre (with supermarket, petrol station, community hall, hotel, crèche, medical centre and parking for the mobile library that will soon fall victim to government cuts), a community pavilion and public open spaces. This, they claim, is ‘a natural, sustainable extension’ which will ‘encourage living, working and playing without the need for a car’! So what’s the point of the petrol station then? Next to this another gargantuan new settlement is being pushed by Channel Islands based LXB. 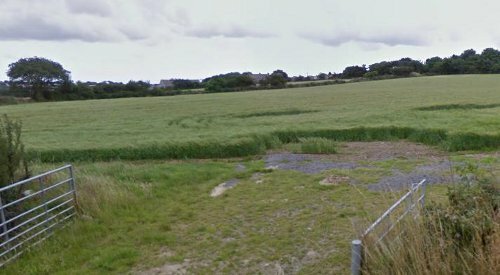 This one is no cuddly ‘community farm’ but will have 435 houses, a nursery, school, Asda, petrol station, pub, community hall and more public open spaces on 70 acres of fields. LXB just want to help us ‘meet the chronic housing land supply shortage in the city’. That’s ‘shortage’ as in insufficient land to build houses on in order to meet demand from upcountry, demand stimulated by the companies who profit from building the houses. The planners were transfixed by all the goodies on offer, So they decided to play safe and recommended approval for both Maiden Green and Willow Green, though they weren’t so keen on Hendra, possibly because it doesn’t involve any more housing. Their problem was solved by the sudden appearance, or rather re-appearance, of a fourth supplicant. This was Inox and its planning agents PCL Planning, both of Exeter. They want to build yet another supermarket, more space for those mythical mobile libraries and a nursery even further west, at West Langarth, well beyond the park and ride. Oh, and another 130 houses would be nice. This will take Truro halfway to Redruth. The crazy notion of dumping a supermarket and 130 houses in open countryside is coupled with a very large carrot. Inox is dangling a stadium for Cornwall in front of us. They duly used campaigners for a stadium, who seem to have lost all critical faculties, to deluge councillors with heartfelt pleas to defer a decision on the other applications. Those who support a stadium in this totally unsuitable location, nowhere near a railway station, on what’s already the busiest road in Cornwall and distant from the heartland of Cornish rugby at Camborne-Redruth, seem willing to pay any price for their stadium. The developers want a supermarket; give them a supermarket. They want another settlement; give them another settlement. They want to build on greenfield land; give them the greenfield land. They want a 1,500 house settlement next to the park and ride at Langarth? They’ve already been given the bleddy thing. Along with shops, restaurant, hotel, care home, primary school and community space. This was agreed in September 2012 by Cornwall’s Strategic Planning Committee by 13 votes to 5, swayed by the promises that it would make the stadium a reality. After a legal challenge failed in October 2013, the local press was confident the stadium would be built. It wasn’t. More than a year on and apparently it now needs another 130 houses and a supermarket to seal the deal. And still no houses have have been built at Langarth. Exactly how gullible are we supposed to be? Especially as the state of the art 10,000 seater stadium (necessary for top-flight rugby we were told)) has now become a stadium that will seat only 6,000. As the houses and population rises so the stadium amazingly shrinks. The councillors at the Strategic Planning Committee in September, heavily lobbied by the stadium/supermarket/settlement campaigners, caved in and decided to defer discussion of Maiden Green, Willow Green and Hendra until they could be joined by West Langarth next February. Bit of a Hobson’s choice there. Having got itself into this complete mess, the Council is now facing two appeals from LXB and Marsh and Baxter for non-determination of their applications. It’s now staring at the real possibility of having all three mega-housing projects forced on it. Or is that what some wanted from the start? 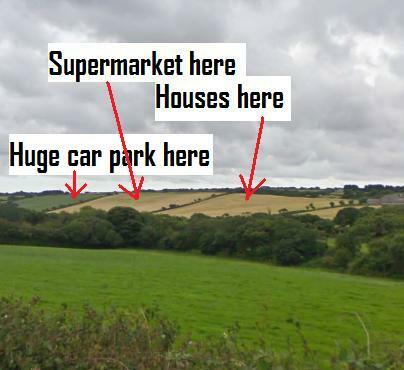 To justify all this, the planners come up with the absurd argument that all the commuters will sell up their houses elsewhere and come and live near Truro. But this isn’t planning; it’s ribbon development led by developers. George Osborne might be taking us back to the 1930s with his austerity plans. Eric Pickles has already done so. All in all, it’s a shambles produced by the need to appease greed and sell Cornwall to in-migrants. But wait. Truro’s housing target in the Local Plan is 3,000 houses by 2030, a 26% rise on the housing stock of 2010. As of March 2014, 2,789 of these had either been given permission or been built. With Higher Newham almost certain to get approval this coming Thursday, Cornwall Council will have just 56 permissions left to find. So is it going to turn down all the new applications to the west of Truro in February? Or will it drive a coach and horses through its own excessive target, as it rides the tiger of development to its own doom? Unfortunately, there’s no happy ending to this series of blogs. Opposition to the increasingly desperate and out-of-touch hyper-growth strategy of our ruling elite is fragmented and weak. Organisation is absent. Although many people are vaguely concerned about the direction the Council and its partners are taking us, levels of disaffection from ‘politics’ and the democratic process work to numb many of them into helpless passivity. If they do get involved they’re all too easily captured by an English/British nationalist populism or celebrity socialism and unable to engage their critical faculties. Are there any silver linings? Maybe one or two, which I’ll return to at the end of this. For now though, let’s just nail the way the Council’s leadership has been cynically complicit in making Cornwall safe from democracy. 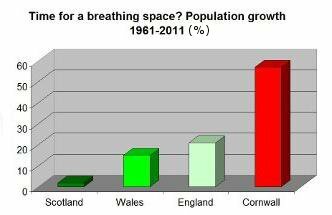 Cornwall Council’s self-appointed ‘opinion-formers’ live in a little bubble where nothing is allowed to disrupt their growth plans. The biggest potential hazard they face is democracy. And there is a minority, though growing, collection of cynics and sceptics out there in the real world who harbour one or two doubts about the grand plan. They see their local townscape and environment being irrevocably changed and ask in whose interests this might be happening. Either getting no answer or finding the answers they get unsatisfactory or fatuous, they begin to question the Council’s old-fashioned growth fetish. If that sort of subversive thinking is allowed to get out of hand, the Council’s plans might well go up in smoke, burnt to a crisp by the flames of democracy. We’ve already seen the de-democratization of local government against the wishes of its people in 2009. 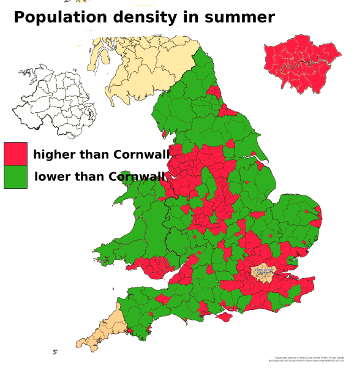 Now, we have a further culling of elected representation on the horizon, making Cornish communities the least represented, in quantitative terms, anywhere in the UK. We’ve also had the creeping process of privatisation and PFI contracts. This has the added advantage from the Council leadership’s perspective, of hiding accountability under a veil of commercial confidentiality. The final piece of the jigsaw comes in removing money and decision-making from elected to unaccountable, non-elected bodies. One such is the Cornwall and Isles of Scilly Local Enterprise Partnership (LEP), which gained the most out of the first undemocratic ‘devolution deal’. Now, we are seeing a further extension of that process. While focusing on saving its own bacon, Cornwall Council has endeavoured to share the responsibility (and blame) for its unsustainable and irresponsible growth strategy with some fellow-travellers. This was done through establishing the Cornwall and Isles of Scilly Leadership Board, which couples unthinking commitment to a short-sighted market-led growth strategy with immunity from any direct democratic accountability. A clever wheeze indeed. It first met last November. The agendas of its meetings are on the Council website but the minutes, although promised, are missing. So who’s on this Board? First, there are those who are in theory directly answerable to the people, although strangely reluctant to involve the people of the communities that require more resilience in planning how to become more ‘resilient’. 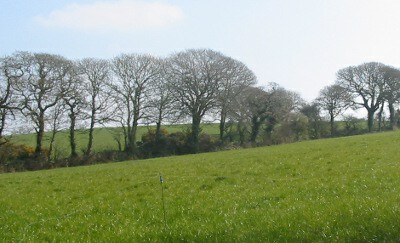 Cornwall Council, the Isles of Scilly Council and the Cornwall Association of Local Councils have seven members. Along with these, we have Cornwall’s six MPs plus the Devonwall Police and Crime Commissioner, all these of course being Conservatives. The second group comprises the chairs of a bunch of quangos – NHS Kernow Clinical Commissioning Group, the Cornwall Health and Welfare Board, Cornwall & IOS Local Nature Partnership and the Cornwall & IOS Local Enterprise Partnership, none of which have any democratic accountability. Finally, neither does the President of the Cornwall Chamber of Commerce, who has been brought along to pull the business sector on board. According to New Frontiers the Board provides ‘the collective leadership we need to increase our environmental, economic and social resilience, and flourish beyond Brexit’ (p.1) One assumes this clique agrees with the ominous promise of the New Frontiers authors that ‘Cornwall and the Isles of Scilly is a natural test-bed for new approaches to the grand challenges facing our society’. Watch out, as your community may well soon be in line to be a test-bed for these latter-day Frankensteins intent on giving us a good dose of place-shaping. 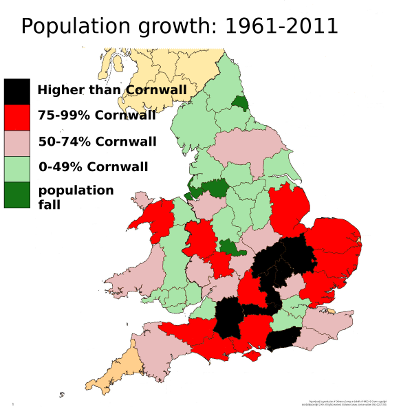 Not many areas have seen a bigger population growth than Cornwall since 1961. But our ‘leaders’ don’t think it’s enough and want more. For Cornwall’s Leadership Board, a reliance on unsustainable housing and population growth as the tired old core of the Council’s strategic policy is no problem at all. After all, the Council’s New Frontiers bid for a second devolution deal shamefully says not one word about Cornish culture or Cornish heritage, so we can hardly expect assorted quangoites and Conservatives, many of whom have a fairly superficial knowledge of such things, to bring up those embarrassing topics. The Council and their partners say they have no alternative. But let’s imagine for a moment that Cornwall and Scilly really were test-beds for a genuinely new approach. Then we might see other plans. For example, there might be suggestions of how to create a properly sustainable and balanced stable state economy, or signposts for developing a genuinely democratic, participatory governance structure, or details of the local efforts required to achieve the near 100% cut in greenhouse gas emissions we need by 2040 to have a snowflake’s chance in hell of avoiding dangerous climate change. Such a document might ask central government for serious planning powers to reduce the numbers of second homes rather than powers to compulsorily purchase farmland for population growth. It might propose measures aimed at building a cohesive and self-confident regional identity, or put culture at the centre of its strategy. Then Cornwall and Scilly would really become a test-bed for new approaches, and we’d have a chance of conserving that ‘beautiful and fragile eco-system’, instead of wilfully and complacently destroying it in the name of profit and ‘resilience’. We can only dream. What we need to make those dreams a reality is some organisation to channel the growing anger. We’ve already seen the collapse of one political party – Ukip – and sooner or later the surge in Labour’s membership will implode under the weight of its own contradictions and the efforts of the press, BBC and a large chunk of its own MPs. Then we’ll have a whole load of people wandering around looking for a home. Are we preparing for it? Is there any mileage in a left populist vehicle that can focus people’s frustration in Cornwall? Or is the answer a catch-all organisation committed to meaningful devolution? Go beyond the vision in New Frontiers, the Council’s bid to central government for a second ‘devolution deal’. What do we find? As we have seen, it turns out that the document contains no new approach at all, just more of the same old approach. Admittedly, there’s some new bits and pieces, like references to spaceports, satellites, post-Brexit regulatory powers, data hubs and lithium mining. However, at its heart lies the same old, endless ‘growth’. Perhaps this is a new sort of growth that doesn’t rest on mass population movement. Maybe our innovative, cutting-edge Council has discovered how to achieve growth that doesn’t have to rely fundamentally on the construction industry. Unfortunately, this is not the case. We read why growth is supposedly under threat. ‘The shortage of new homes is one of the major barriers to achieving sustainable economic growth in the region’. Oh dear, the actual objective turns out to be to build lots of housing for all those in-migrants we need to achieve ‘growth’, although we’re now informed this will be for ‘inclusive workforce growth’ (p.16). As opposed to what exactly? Not that the officers were exactly honest about this aim. When councillors were permitted to discuss the New Frontiers document at the obscure Customer Services and Support Services Overview and Scrutiny Committee last week, they were told funding from central government was needed to ‘provide more affordable homes for local people’. The only problem is that this means that many, many more unaffordable houses have to be built. 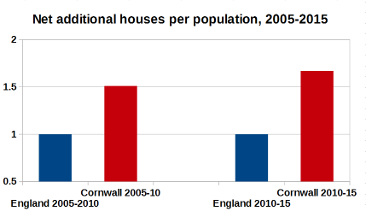 Since the turn of the millennium Cornwall has already experienced a higher rate of building than elsewhere. The Council wants to increase this rate even further. Although the Council doesn’t see this as a problem at all. In fact, it proudly boasts that it can deliver ‘at least 3,000 homes [sic]’ a year. It admits this will ‘exceed (on a proportionate basis) the Government’s national basis for the increased supply of new homes’ (p.43). Note that this equates to a 20-year target of 60,000 houses, equal to six new Truros, well above even the official target of 52,500. From the Council’s standpoint, injected with liberal amounts of testosterone when it comes to housing and population growth, this pathetically low target is one it confidently expects to surpass with no trouble at all. If you’re uneasy, worried or downright alarmed by the current level of building activity going on around Cornish towns then just wait until the Council’s plans come to fruition. It’s asking central government for £60 million to ‘accelerate’ housing delivery through a string of ‘garden villages’. It wants compulsory purchase powers to buy farmland to push these new settlements forward, over the heads of any local opposition presumably. The new utopia of ‘clean’ and ‘sustainable’ growth seemingly involves increased dictatorial powers to ‘place-shape’. The market and dictatorship march together, hand in hand. Perhaps over-compensating for fears of inadequacy, Council statements become ever more boastful. As the Council’s real powers shrink, so its leadership resorts to self-glorification and braggadocio. As people’s cynicism mounts, so the flood of magniloquent and vain-glorious claims spews forth at regular intervals. This is certainly one area where growth can clearly be proven. Oddly, all this frenetic macho ‘growth’ is predicted to have no effect at all on what the Council describes as the ‘beautiful and fragile eco-system’ of Cornwall (p.1). We’re told it’s needed to increase the ‘resilience of our communities’, at present presumably hopelessly vulnerable. They’re certainly vulnerable, or at least the councillors they elect seem to be, to the same old policy follies familiar from the 1980s, now dusted down again and foisted on them in a new guise. Yet growth brings with it costs and problems, many of which are causing growing alarm among scientists and others. But not at County Hall it seems. To understand what might otherwise appear to be the collective insanity gripping a power-crazed elite at Truro we need to set it in the context of major reductions in the revenue support grant central government gives to local government. These amount to a 77% cut in the five years from 2015 and the end of local government grants entirely by 2020. But we need to cast the net even wider to fully grasp what’s going on. Local government cuts have had two useful benefits for central government. The first is to obfuscate the austerity programme, making local government undertake the most savage cuts. This meant that blame could be neatly diverted from the Tory/Lib Dem and then Tory Government to hapless local councillors. This was made even easier in cases like Cornwall Council where the Council rolled over and refused to criticise government policy openly. It’s also abysmally failed to communicate its problems to the people, preferring to act as a relatively willing handmaiden of the central state. In a context of declining future revenue, Cornwall Council has had to look at how it might weather the coming financial blizzard. As a result, it’s slipped from being the representative and champion of Cornish communities (if it ever was – I’ll leave that one open to debate) to being principally concerned with saving its own institutional skin. 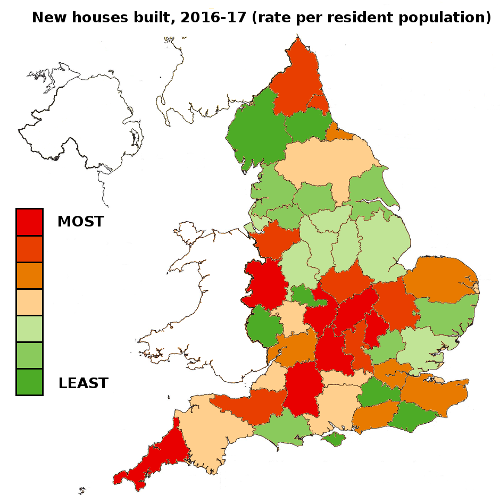 This explains the cosying up to developers and the return to a housing and population-led strategy (more houses and more people mean a higher tax base). It also explains the desperate search for ‘partners’, as the Council seeks to spread risk (and blame). It makes sense of the various projects to outsource services or privatise them outright, blurring the line between public and private and in the process conveniently making accountability even more obscure. It also helps to explain the growing secretiveness of the leadership bunker. As in the Cannes public relations fiasco, the bunker now refuses even its own councillors a say on its strategic direction. Fearful of having its strategy questioned and (God forbid) changed, as it can envisage no alternative, it desperately pleads to councillors to put loyalty to the institution before their loyalty to those who elected them. This is why senior officers are probably supremely relaxed about the prospect of Cornwall’s elected representatives soon suffering a cull on a scale unprecedented in the history of ‘English’ local government. The fewer there are, the more remote becomes the terrifying prospect of effective criticism from within the institution. Meanwhile, proclamations to the public are marked by a growing air of unreality. Anodyne visions are robotically unveiled. Crocodile tears are copiously shed for the less fortunate even as the services they get are shredded mercilessly. Ridiculously over-ambitious claims are made that the Council is the best in the land and glowing peer reviews carried out by other councils are flourished with pride. Although these are greeted with amused incredulity, irritation and contempt in towns and villages across Cornwall. Arrogant threats to silence critics are made as the Council over-reacts badly to local campaigners. All this comes on top of the long-familiar disingenuous and casual misuse of selected statistics and evidence that has been business as usual for so long. It’s hardly surprising that the gulf between the Council’s leadership and the mass of the public – disillusioned, dispirited and disbelieving or angry, astonished and amazed in turn – widens by the day. To sum up, Cornwall Council’s leadership clique has determined that the only way it can survive is to resort to the poacher turned gamekeeper strategy. Thoroughly captured by corporate interests, it acts like a corporation. Prevented from regulating developers by changes in the planning laws, it becomes a developer itself. From representing communities, the Council turns to transforming and re-engineering communities, or ‘place-shaping’ in the jargon it prefers. This turns what should happen on its head. Instead of communities being in control of their destiny and shaping their political representatives to achieve their real needs, we have the political superstructure shaping communities to suit its need and the interests of developers, central government and better-off visitors (both permanent and temporary).